If I were to see Professor Snape in real life, I’d probably punch him out. Or, at the very least, hurl my finest “expelliarmus” his way. Full disclosure: I am of the Harry Potter novel generation. I remember waiting (not so patiently) for the books to be released. Then reading them in rapid succession long after my parents had sent me to bed. What follows can’t possibly be considered a spoiler, because if you haven’t read the books or watched the films yet, I’m not sure what you’ve been doing with your life. Gently lift the enormous rock you’ve been living under, smell the potions brewing and listen up: Snape is a hero. Despite Rickman’s aggressive lip curls, greasy locks and patented loathe-inspiring drawl, he is always looking out for the “boy who lived,” until his dying breath. The seventh and final book was released in 2007 just as the fifth film was released. Until the very last book, I was content in investing an inhuman and surely unhealthy amount of hatred squarely on Rickman’s shoulders. This may be a tribute to Rickman’s acting abilities, or partly due to Rowling’s expertly crafted character development, but I assure you, the hatred he inspired was absolutely organic. Leave the brooms, bludgeons and butterbeers behind for a moment, and let’s examine one of Rickman’s other films. Consider his role in Die Hard as the terrorist Hans Gruber. Is there anything more menacing than Rickman playing a sociopathic German terrorist? One must be inherently evil to terrorize a Christmas party, and at the same time, not all that bright to engage with John McClane. What feeds Rickman’s convincing villain persona is his ability to radiate evil while he is totally silent. Without words, with only a look, he communicates his character’s intentions. I wonder if Rickman’s actual resting face is a dirty snarl… we may never know. I hope to one day inspire such emotion and reaction from my audience with a glance, or a swishing flip of a cloak. Until then, I’ll have to rely on my pen, paper and mildly impressive vocabulary to accomplish that for me. 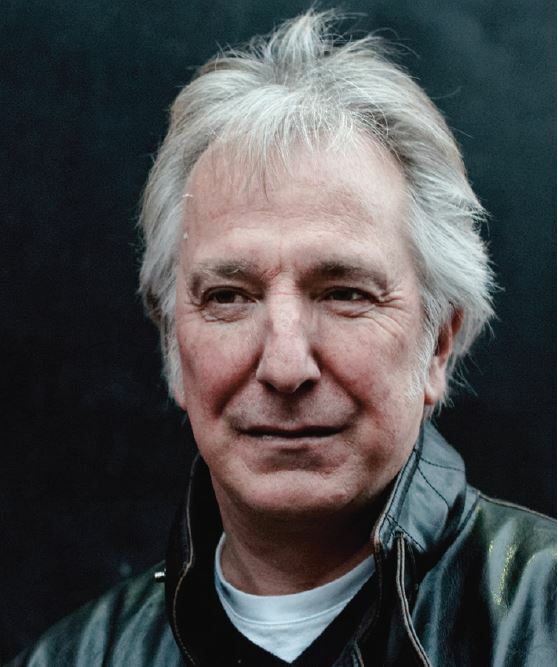 Congratulations Alan Rickman, for successfully making a generation of Potter-heads hate you, playing with our emotions like a chocolate frog then capturing our hearts like the allusive golden snitch, with one film. Bravo! I have officially moved you from my list of people I hate to my list of people I love, something that happens even more rarely than an appearance by Halley’s comet.